The number of nations and countries in the world is close to 200. However, only 24, according to the World Bank, classify as being "high income economies," that is having a per capita GDP of U.S.$12,000 or more. In other words, members of the exclusive club of nations and countries. In the not-affluent nations and countries, especially those with a per capital GDP of less than U.S.$750, the core of the Third World, a great many of those nations and countries are ravaged by years of dictatorship, gross government incompetence, genocide, and conflict. 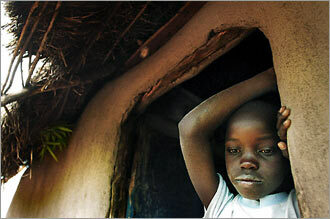 His parents are lost to AIDS; he has since been struggling to survive. Worse of all, AIDS is undermining sustainable economic growth, suggesting that citizens, including 15 million orphans in the 45 most affected nations and countries, such as the African country of Botswana, where nearly 39 percent of adults are H.I.V.-infected, a rise of 3 percent since 2000, and where also more than one third of the houses are headed by teenagers because their parents' lives are claimed by AIDS, according to the United Nations (UN), are more likely to endure even more abject poverty over the next 20 years or so since more than 68 million of their fellow compatriots and others, according to medical experts and others, are anticipated to die from the deadliest epidemic in modern human history. Having very little food or none at all to consume, many H.I.V.-infected citizens, including the 1 million or so African children and young adults, who have lost their teachers to AIDS, may attempt to illegally enter the wealthy nations to, hopefully, obtain unemployment and ultimately consign to the archives of history the unfortunate circumstances (dehumanizing poverty) into which they were born, which their present extreme conditions of poverty and others continue to reflect. Certainly, such a human catastrophe and this, without precedents in the annals of modern human history, can be prevented - even in part. More money, in addition to the $3 billion that will be made available by wealthy nations, including the United States, via its President, George W. Bush, who has asked his nation's Congress for $15 billion, and $10 billion more in new money, will be needed to help pay for the economic cost of relevant lifesaving H.I.V. drugs, for example. 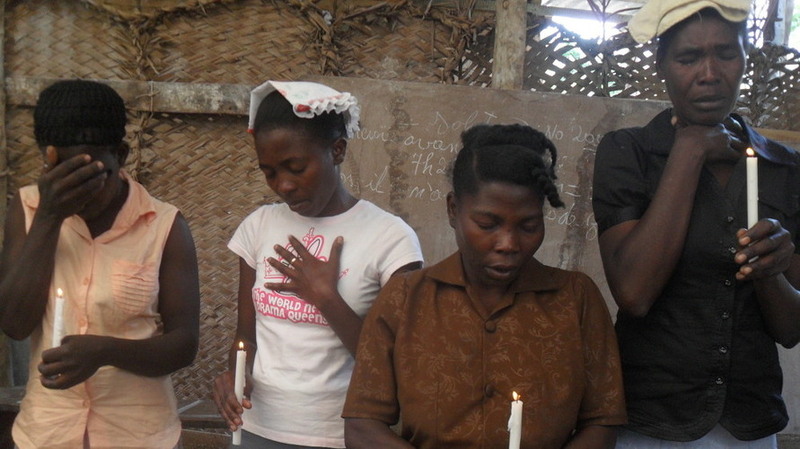 Sure you, our (wehaitians.com) 100,000-plus daily visitors, can help. Write to or telephone, or both, your governments and congressmen, for example, about this very important social issue, and ask them to be of greater assistance to the nations and countries, mainly those where AIDS is exterminating the entire populations, and rapidly so. Professor Yves A. Isidor, wehaitians.com (an invaluable resource), widely regarded, not least by itself, as the world's only English language Haitian-American scholarly journal of democracy and human rights of record, executive editor. Can The United Nations Be Sued On The Ground That Its Occupying Forces In Haiti Imported The Cholera Disease Into That Nation? Is a Haitian bureaucrat leaving Zaire for home and then California really responsible for the distribution of the HIV virus in the USA? As The Italians Did In The Middle Ages To Prevent The Spread Of The Plague, Will Haitians Be Detained At A Port Of Entry Under Forced Isolation To Prevent Cholera From Entering U.S.?. Can A Convicted Killer, With Pronounced Neo-Nazi Beliefs, Be Permitted To Be A Doctor? Haiti Dr. Guy Theodore Many Unparalleled Accomplishments, Also In The U.S. THE NUMBER OF REPORTED CASES CONTINUES TO SURGE Mourners attend a memorial service for recent cholera victims in Haiti (where government reflects the trade-off between gross incompetence and grand-scale corruption - the greater is the gross incompetence, the greater is the grand-scale corruption) that took place Wednesday (July 13, 2011) in Savanette, an isolated community in the mountains outside Mirebalais, Haiti.